The back story of the Teeling Whiskey Company will be familiar to many. In 1987 the mining and whiskey entrepreneur John Teeling founded the fledging Cooley Distillery, which over the years he grew into one of the world’s most respected distilleries, often flying under the radar in its home country. Skip to 2012 and the Teeling family sold the business to drinks giant Jim Beam for north of €70 million. It didn’t take long however for John’s sons, Jack and Stephen Teeling, to get back into the whiskey trade. Years previously they had squirreled away stores of whiskey from the Cooley distillery and with this they launched the Teeling Whiskey Company in 2013. Jump to 2015 and they have opened a handsome new distillery in Dublin’s Liberties. 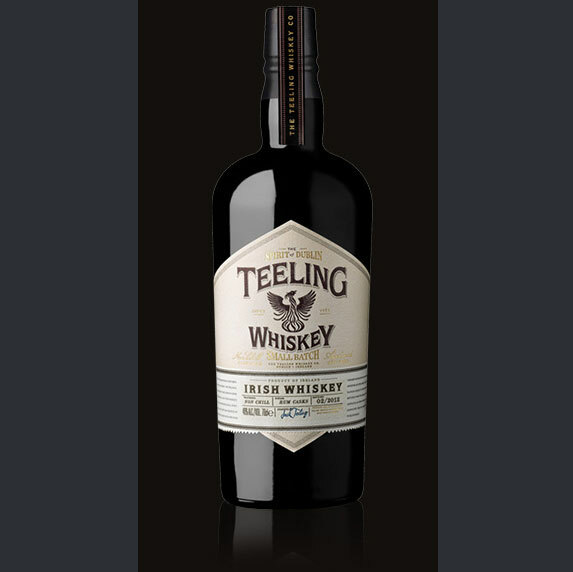 Teeling whiskeys are now exported to forty countries and are the number two best-selling whiskeys in Dublin airport, not bad considering that the best sellers are from Irish Distillers, a company with centuries of experience and the deep pockets of a multi-billion euro conglomerate behind it. Much of this has been extensively reported about this young whiskey distillery. However, some of the things you may not already know about the TWC are that it was the first distillery in Dublin to ever go through a planning process – planning permission wasn’t around 125 years ago when the last new distillery opened. The building at 13-17 Newmarket that houses the distillery was, until recently, an Iron Mountain paper shredding facility. A tour of the distillery takes you through the smells and warmth of the distilling process and you will see the new made spirit gushing into the spirit safe from the three gleaming copper stills, (each still is named after one of Jack’s daughters) This new spirt is matured in warehousing in Greenore in County Louth because the Dublin planning authorities decided that having warehouses full of whiskey in the city could be a fire hazard! After maturation the finished whiskey is bottled at Terra Bottlers in County Cavan, another Irish family business. The maturation and blending is the charge of master distiller Alex Chasko who is actually a brewer by trade. Mr Chasko is a masterbrewer from Portland, Oregon, birthplace of the craft beer movement, who married a girl from Tipperary and settled in Ireland where he began working with the Teelings in Cooley. It was Chasko who was responsible for many of the trail blazing whiskeys in the latter years of Cooley, and he is carrying on his work with expressions such as the Teeling Single Malt, a ground breaking whiskey which is finished in 5 different casks (white Burgundy, Californian cabernet, Sherry, Port, and Madeira). Ireland has all the natural advantages for whiskey production and was once a powerhouse in the world whiskey business, a title which Scotland – with over two hundred active distilleries – has gleefully usurped. We can and do produce world beating drinks we can be proud of, and it is pioneers like the Teelings who will lead the way for the next generation of independent distilleries as they give the guys in kilts a run for their money.